On behalf of Tablespoonsandteaspoons we want to wish all mothers are very happy Mother’s Day. My mother was a main inspiration to creating tablespoonsandteaspoons. When she was diagnosed with rheumatoid arthritis in 2010, we were on a mission to find the best foods that would help treat the disease. This mission led to my thesis in 2014 the assessed current research on health literacy on rheumatic arthritis patients. 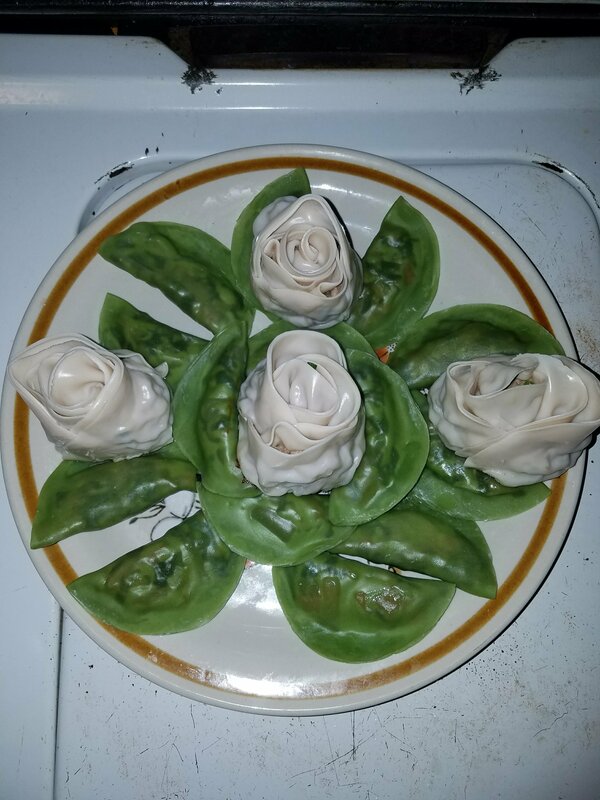 These homemade bouquet dumplings. The rose dumplings were made with pork and the leaves were made with vegetables. The total cost to make this creative gift is under $20. 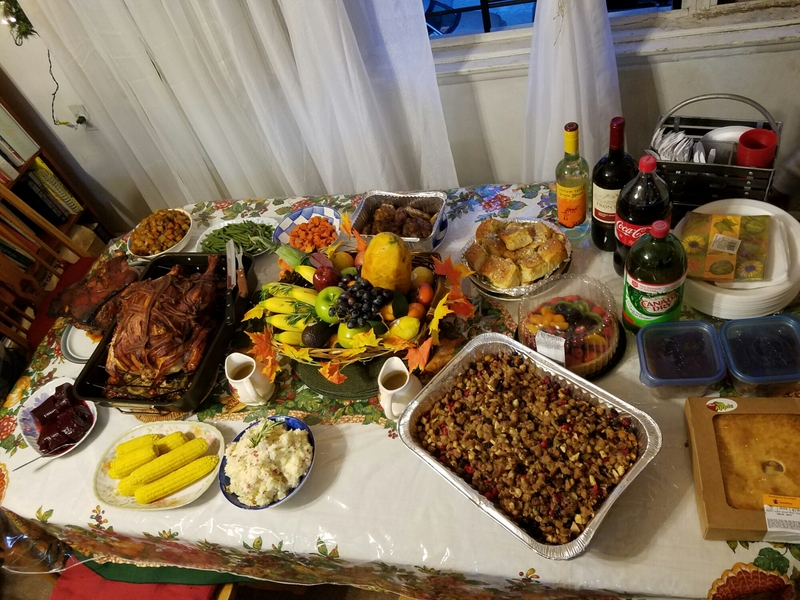 Today’s first Throwback Thursday and Flashback Friday post of 2017 is a double duo, filled with cultural and food experiences that I can identify with – Pork. Although pork is forbidden in some cultures, it is also one of the most popular types of meat in eastern Asia especially in the Philippines and Thailand. Pork, the product of the pig comes in a variety of forms and there are many ways of preparing them for consumption. In the New Year, one of the lucky foods to consume is pork because the pork is said to be rotund, which signifies prosperity. Since it is derived from the pig, the animal itself “roots forward” symbolizing progress. Not only pork brings good luck it is also healthy. 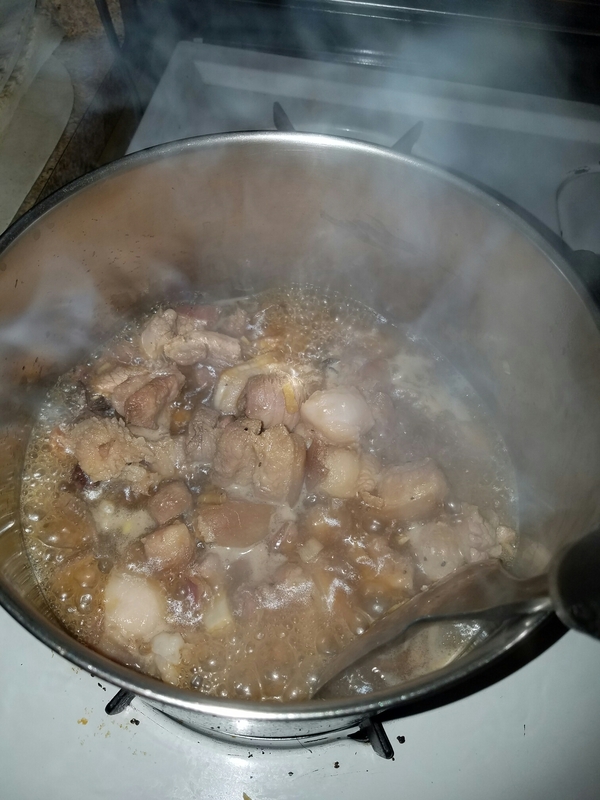 So, given this information for the occasion I decided to turn back time to several posts here as well as my own experiences to attempt a healthier yet authentic version of the Filipino adobo and Thai grilled pork (moo ping). Better yet the cost to make both of these dishes was under $10 and it serves 4 people plus leftovers. The pork belly was sliced and marinated in 4 tablespoons of soy sauce, 4 tablespoons of tamarind sauce, 4 tablespoons of datu puti, garlic, onions, ginger and bay leaves. The only addition added was star anise. The dish was marinated for 3-3.5 hours at room temperature. The dish was prepared as described in one of my earliest post: Chicken Thigh Adobo. 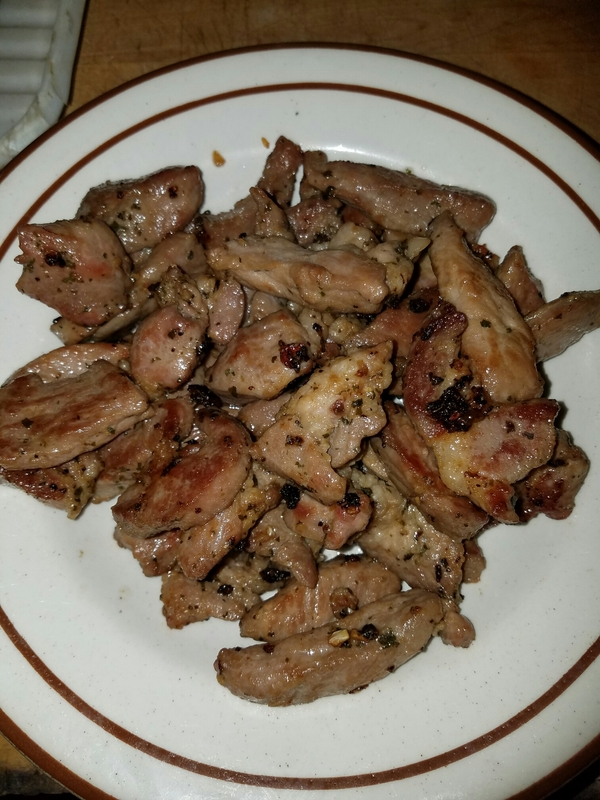 One of father’s favorite Thai dishes is moo ping, translated in Thai for grilled pork. Inspired by one of the best pork dishes at Ayada, I attempted to replicate the dish while keeping it healthy. Pork shoulder was sliced and marinated in garlic, cilantro, fish sauce, soy sauce and sugar for 3-4 hours prior to grilling. Normally this dish is prepared in skewers. So today we covered a throwback recipe and a flashback dish at a restaurant to make two lucky cultural pork dishes for the New Year. Hopefully this double duo will help Tablespoonsandteaspoons progress to bigger and better 2017. Cheers! On behalf of Tablespoonsandteaspoons we want to wish you and your family a very happy, healthy and Blessed Thanksgiving. So thankful to God, family and supporters for the blessing and opportunity to share this journey with all of you. Working on developing new ideas for the holiday posts coming up. Stay tuned.